It's that time again, North American gamers, for the latest Nintendo Download Update. This week brings a Treasure double header on Wii U which is tough to resist, along with one of the Wii U eShop's most-anticipated exclusive releases from 13AM Games. Disney Infinity 3.0 is also joined by some other download-only hopefuls on the home console, while Natsume pitches in on the 3DS eShop; in addition there are some discounts and 3DS HOME Themes to consider. There's plenty to get through, so let's get on with it. Runbow (13AM Games, $14.99, and 15% off until 27th September if you downloaded the [email protected] demo) - A colourful action platformer that's been given plenty of promotion by Nintendo and features cameos of various 'Nindie' characters, this includes varied solo options and multiplayer modes for up to nine players. 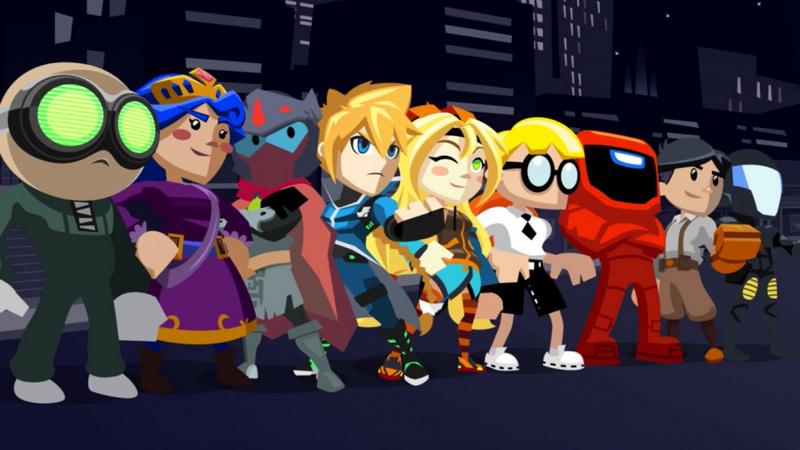 Its different styles incorporate frantic platforming and combat, all supported by excellent presentation; we were effusive with praise in our Runbow review. 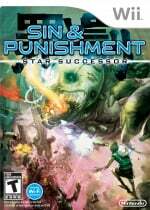 Sin & Punishment: Successor of the Skies (Nintendo, $19.99) - This long-awaited sequel from Treasure on the Wii has excellent pointer controls, and has the expected blend of fast-paced shooting, crazy enemy designs and an utterly bizarre storyline. Always a challenge and loved by a number of action shooter fans, we gave this a glowing recommendation in our Sin & Punishment: Successor of the Skies review. FullBlast (EnjoyUp Games, $5.99) - Previously released on smart devices and Ouya, this adds to the small band of shmup titles on Nintendo's home platform, in this case with a focus on vertical scrolling and some boss set pieces. It supports two player co-op, too, we gave it a recommendation in our FullBlast review. Pixel Slime U (RCMADIAX, $2.99) - This budget title utilises a single button for jumping an dodging obstacles, with the green blob in question moving automatically. 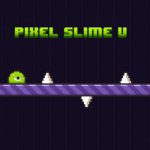 It's a score chaser with a few twists throughout its 40 levels, but a few issues meant we stopped just short of giving a recommendation in our Pixel Slime U review. Brave Tank Hero (Natsume, $4.99) - A Wii U version of a title that just recently landed on 3DS, this is a 3D action game developed by Arc System Works; across 50 missions you take on other tanks and shoot for high rankings. You can choose from multiple tank types, and we'll see whether this hits its mark or loses its tracks in our review. Sin & Punishment (Nintendo, $11.99) - Nintendo is cheekily upping the standard price on this N64 classic due to its history. Originally only released in Japan, it only arrived in the West once the Wii Virtual Console came onto the scene, giving plenty of gamers a chance to enjoy a terrific action title from Treasure. With an incomprehensible story and lots of shooting it's much-loved by plenty of N64 and Treasure fans; we'll take a fresh look soon, and until then you can check our our Wii Virtual Console Sin & Punishment review. Disney Infinity 3.0: Play Without Limits (Disney Interactive, TBC) - Due to this game requiring toys and a portal, the eShop option is for those that have already invested in the series. This is Disney's high profile franchise in the toys-to-life market and features Star Wars and Frozen this year, among other franchises. Available from 30th August. Gotcha Racing (Natsume, $5.99) - A top-down driving game that looks rather retro in approach, this aims to add surprising depth to what could potentially be rather simple gameplay. In order to improve your car (with better parts in three categories) you pick up capsules as you race, and these drops level up along with your car. Plenty of challenges and content is promised, so we'll get into gear and work on a review. Also, don't forget that there's currently a Capcom eShop sale running until 31st August. That's the lot for North America this week - let us know what you plan to download in the poll and comments below. Sin and Punishment? More like Hand Cramps and Punishment... amiright? JK But yeah that game wreaked havoc on my hands. And I didn't blink for like minutes at a time. One of the most solid Wii U line ups in a while. 3DS... not so much. Well, it's another wave of Atlus discounts. I'm still waiting on Persona Q to hit that $14.99 mark. That's when I'll pick it up. I highly recommend Sin and Punishment. Tough but both are great agames. Full Blast sounded pretty solid as well from the review. Good week. Vs Excitebike disappeared? I'm way more thankful for Sin and Punishment anyway. I'm definitely getting Runbow, but probably one of the biggest pieces of news from this update is that, according to Tyrone Rodriguez's Twitter, The Binding Of Isaac N3DS is getting the new patch to fix the crashes today. @rferrari24 Nintendo's doing a slightly weird thing where it's pushing other games through Twitter first. Perhaps Excitebike will come tomorrow or Saturday as a think announced at PAX. Thanks for the update. I think you're right, Vs Excitebike will probably come out in the next couple of days. Already own Star Sucessor on the Wii and love it! Will be getting the N64 one and trying it for the very first time! Can't wait! Awww NOE, I really would of like S+P. @Angelic_Lapras_King Not really, you can get the N64 Sin & Punishment on Wii VC in both regions. Zero Mission you can only get on GBA cartridge in NA. I already own S&P on Wii VC, so I get the upgrade price. I wanted Successor of the Skies back in the day, but it slipped through the radar, so I'm glad to see it here. Seriously tempted by the Squid Sisters theme. There is still no Disney Infinity 3.0 review online. Maybe the publisher wants them to wait until release day. That's a pretty decent Wii U list for the dog days of summer. Will probably pick up Runbow. Full blast was pretty fun on my tablet, would have been a nice purchase w/ a $5 DDP credit. That or the too hard for me Scram Kitty. And I do miss my Club Nintendo bonuses. It's like Nintendo doesn't want us to buy digitally. Only getting Runbow b/c of the 15%, have to reward good behaviour. And as always, that long list of discounts could use a 1st party games. Played both S&P games, they were both good. Can't even argue the prices. And maybe Sin & Punishment and Brave tank hero seems fun. I will get the squid sisters theme and probably Runbow. I will be upgrading my Wii VC copy of S&P to the WiiU 64 VC. Other than that I just rebought ULTIMATE SPIDER-MAN and HULK ULTIMATE DESTRUCTION and then I'm buying MARIO MAKER . . . so S&P 2 will have to wait. Runbow ftw!! I've heard nothing but great things about it. Gotta be RUNBOW. I'm making myself finish Pandora's Tower before I'll download Sin & Punishment 2, although I do very much want it. @Tisteg80 Likely won't see a review until later this week or Sunday as it releases on Monday. Still Infinity 3.0 will be physical disc pickup for me next week. 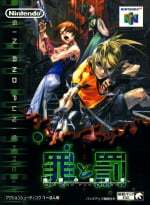 Already have Sin and Punishment Star Successor on disc, but will be getting the Wii U VC update for the original. Runbow looks interesting as does Brave Tank Hero Wii U. Those and Disney Infinity with a slew of plastic Star Wars figures for me. Maybe only the Splatoon theme for me. The 3DS drought continues! But it's okay 'cause there's plenty of life outside of video games. Still, I am very much looking forward to Happy Home Designer in a month! I feel Runbow is a bit expensive for what it is. Maybe having all those indie characters has hacked up the price? I'm interested in sin and punishment cause I always hear good things about it but I don't think I want to play a treasure game with input lag. That's one of the reasons I ended up getting an n64. It's really too bad there was never an english cart made. @nico07 EU gets Infinity3.0 tomorrow while NA gets it on Sunday. I imagine at least some reviews should start popping up tomorrow unless there's an embargo. Not getting anything as I just bought three 3DS games last week and am waiting on my Gamepad to come back so I can get the internet running on my Wii U again. @BertoFlyingFox I would imagine that Andy Robertson, regular contributor to this site, Forbes, and Family GamerTV, will have a thorough review of the game fairly soon. A very good week. I want Runbow, Sin and Punishment 1 and the Splatoon theme. I remember that they put a patch for Scram Kitty so you could direct the guns independently of the pod, I wonder if that makes the game easier? From what I heard the game has a meaty single player and online multiplayer, plus you get the early adopter discount if you got the demo. Checking reviews and the demo the quality is definitely there so I don't mind. The most appealing thing for me was Vs. Excitebike, but I am at least tempted by Disney Infinity 3.0 if the upgrade price is once again only $20. It is almost worth it for the improved driving and toy box games, although I am very tempted to buy the Original Trilogy characters. How much is Rumbow in pounds (£) if I get the 15% off? Very, very good week. If they could drop stuff like this one week a month, that would be great. I thought the Wii U was marching to a slow death, but it feels like there are more games coming out now than before. If they could announce some sort of account based system and Club Nintendo system, that would really hook gamers to stay around. Nice to see Runbow leading the votes. I really hope it sells well. Also excited for the original S&P. Solid week! Sin & Punishment is 1200 points on the Wii, so I wouldn't call $11.99 upping the price. Nothing cheeky about asking a little more for import titles they know we shouldn't have already paid for and played extensively like a lot of games people just rebuy on VC. Got myself Runbow, it's a really fun game! @rjejr: How about those prices for Nintendo's old games? I was ok with it for awhile but Sony and Microsoft have spoiled me now. They don't even give you $5.00 back for spending $50.00 anymore. Come to think of it, they don't give you any type of credit for having the pleasure of buying things at high prices. @Darknyht I searched Google and found various articles claiming the digital version is $30, which makes sense given the 3.0 starter pack is $65 and includes one playset that is $35 separately. Of course, preordering the physical copy nets you one of the toy box games for free (Toy Box Takeover) which normally retails at $20, so that's the better deal. The Binding of Isaac Rebirth update was suppose to come out today but it didn't unless it releases tonight or something, other then that I got the themes. Great, now I have to have that eyesore, Runbow shoved in my face everywhere I go. Thanks Nintendo! Maybe I'll finally pick up Sin and Punishment SS. Maybe. I definitely recommend Sin and Punishment Star Successor for those that have yet to play it, though it is a shame that the online leaderboards were affected by the Nintendo Wi-fi service discontinuation since that was a large part of the appeal for me. Still worth the purchase though. @darklinkinfinite I believe it is two dollars for N64 games. Squid Sisters 3DS theme, woo! I want a lot of the stuff this week (specifically Runbow, Sin & Punishment 64, and Disney Infinity 3.0), but my wallet's already had enough with pre-orders for bigger releases later in the year. @Ryno I don't understand why Club Nintneod was shut down so early if the new 1 wasn't ready to go yet. There should have been a 1 month overlap so we could have made sure all of our stars, coins, whatever moved over. And if it is going to be a completely separate thing we could have been still earing and spending coins all this time. And the DDP should have ended Dec 31 as it was always stated but the very next day they should have opened it up to everyone, not just the Deluxe owners. Even if they lowered it to 5% for everyone. How much money do companies save by not manufacturing and shipping discs? And as expensive as digital games are these days - $15 or $20 is the $5 and $10 from just 2 or 3 years ago - they could spare the 5%. @abbyhitter You're gonna be waiting a WHILE! I bought it last month when it was 40% it's normal price tag($30) and SO not regretting it! I also plan to get Etrian Odyssey 4. That's a NICE discount! I already took part in the Capcom sale and indulged myself with both the Ace Attorney Trilogy and Resident Evil Revelations. I already have Resident Evil Revelations on Wii U but I feel I would rather play it on the system it was completely designed for. As such, I won't be downloading any other games this week. S&P I've been wanting to play for a long time, but... backlog is already too big and no time. Plus, kids are getting sucked back into Minecraft lately. With Gunstar Heroes 3D on 3DS (I'm now convinced it is not only the best 3D Classic, but the definitive version of the game) and both S&P titles easily accessible on the Wii U (yes, there is still a discount for Wii purchasers) the only Treasure classic yet to hit a Nintendo system is (wait for it, because it will NEVER happen) Radiant Silvergun, my favorite game of all-time. The 360 version was pretty good, but there was just something special about the original Saturn copy. 14 years after first picking it up, I'm more convinced than ever that Treasure will never top it, no matter what. For anyone interested in Treasure's other releases, Dynamite Headdy, Ikaruga, Bangai-O (not Spirits) and Astro Boy: Omega Factor top the list. Guardian Heroes is kind of like the spiritual precursor to Code of Princess, but MUCH better done. If you played the latter and didn't like it, try the former and let me know what you think. I'm more a fan of Treasure's shooters, but for any 360 owners with a side scrolling itch to scratch, definitely check it out. The multiplayer is a blast and the HD revision looks gorgeous. No Xenoblade. I promised myself if I didn't hit the e-shop by the end of this month I wasn't going to buy it and just continue playing it on my PC instead. Your loss, Nintendo. @sinalefa I guess I didn't care enough to read the review as I thought the demo was pretty much all there was. I'll have to check it out now so thanks! 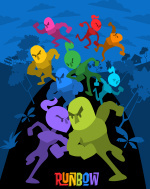 GET RUNBOW NOW!!! honestly when it was first announced I was like meh, but the hype built and its an awesome game, didn't think twice about the $15 entry point (didn't download any nindies @ home), fun single player, 2 player or more, plus online mode and plenty of fun to be had! Don't see anything this week, I may be taking part of that Capcom sale and finally buy Ace Attorney Trilogy. But I just might save my money for Dragonball Z: Extreme Butoden. i'm on the website of nintendolife and i get ads for ps4 games... what? A lotta stuff, but still nothing for me this week. It would have been cool if they would have got the Speed Racer license for Gotcha Racing. Because a lot of the cars look just like some of the cars from the original show which aired back in 1969 I think.